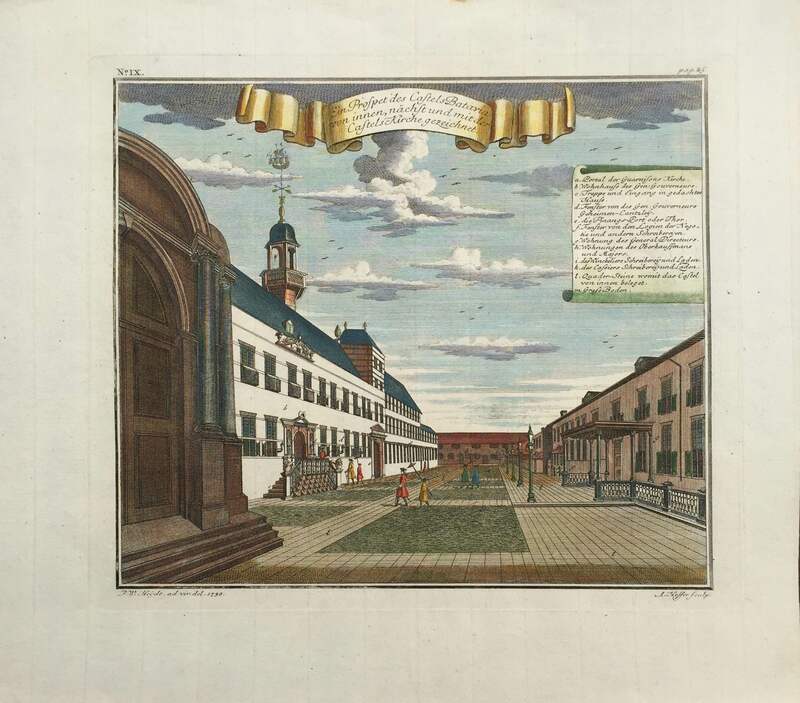 Antique print Castle of Batavia titled ‘Ein Profpet des Caftels Batavia von Innen, nachft und mit der Caftels Kirche Gezeichnet’. An attractive mid 18th century prospect of the Castle of Batavia drawn from the inside close to and with the church. Drawn by Johann Wolfgang Heydt in 1739, a German draughtsman and engraver born in Indonesia, engraved by Andreas Hoffer Johann of Nuremberg and published in Allerneuster Geograpisch und Topographische Schau-Platz von Africa und Oost- Indien … in 1744.